The London Concours is pleased to announce fine watchmakers, Montres Breguet, as the Presenting Partner for its 2019 event. Hosted at the Honourable Artillery Company – a five-acre oasis of green in the heart of the City of London – the London Concours is an automotive garden party celebrating the finest offerings in the worlds of jewellery, fashion, watchmaking and automotive. Now in its third year, the London Concours will host a display of more than 100 finely crafted vehicles, each representing the pinnacle of craftsmanship, design and timeless luxury. And, just as many cars on display are lovingly handcrafted over the course of many hundreds of hours, so too are Breguet’s exquisite timepieces. The House of Breguet, founded in 1775, combines technical prowess with timeless elegance, which attracted a number of distinguished patrons, who honoured Abraham-Louis Breguet as one of the greatest watchmakers of all time. A.-L. Breguet’s dedication to mechanical excellence led him to develop an abundance of innovations that contributed to the improvement of watchmaking, including the creation of the self-winding watch. Mastering the art of timeless style, Breguet created his own aesthetic codes that have been distinguishing the brand’s timepieces ever since. The Breguet famous hand engraved, engine-turned dials are immediately recognisable and celebrated for the fineness of their patterns, reflecting the regularity of the movements within. 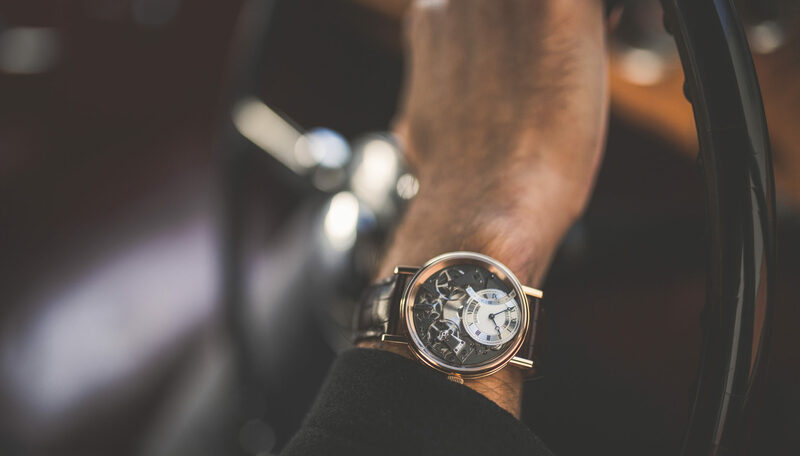 Those who appreciate the beauty of a mechanical object, will undoubtedly be able to see the parallels between Breguet and the automotive world, both sharing an appreciation for impeccable aesthetics and mechanical excellence. Visitors to London Concours 2019 will have the opportunity to see some of the latest Breguet innovations, learn more about the uninterrupted and remarkable history of Montres Breguet and see the artistry of its watchmakers first-hand.